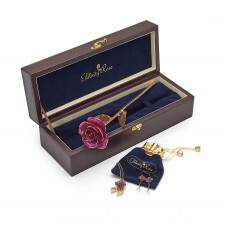 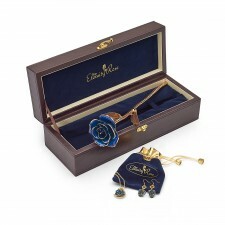 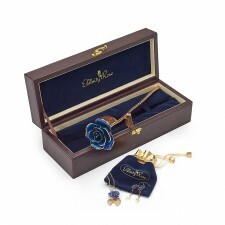 • A beautiful and romantic gift set which comprises a stylish blue glazed rose with intricate 24 karat gold edging together with a set of blue miniature rose petal earrings and pendant. 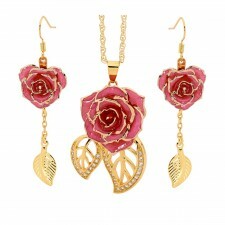 • The pendant is heart-shaped. 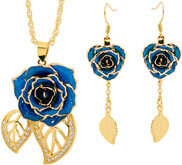 • The jewellery items are all encrusted with radiant synthetic diamonds. 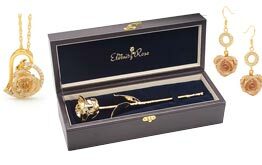 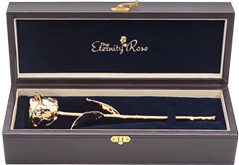 • A high quality leather case for displaying the rose is included, and a sleek velvet pouch is enclosed to securely hold the jewellery items. 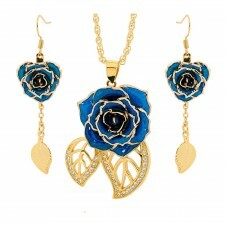 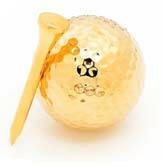 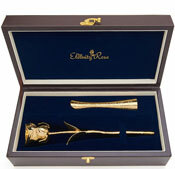 • An authenticity certificate is supplied for both jewellery and rose. 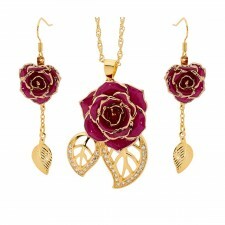 • An elegant matching set which includes a beautiful glazed red rose together with a matching red glazed pendant and pair of earrings fashioned from real miniature rose petals. 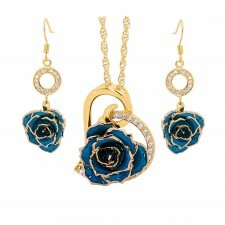 • An elegant matching set which includes a beautiful glazed blue rose together with a matching blue glazed pendant and pair of earrings fashioned from real miniature rose petals.